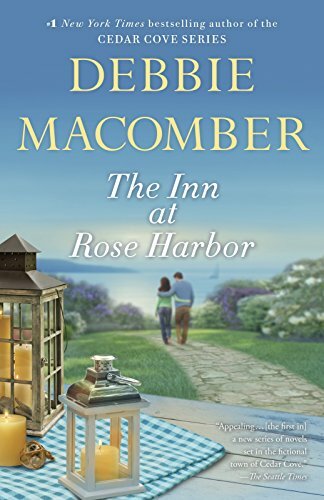 Features two of the author's timeless romances--"Impulse," in which a young woman embraces change and a Greek stranger, and "The Best Mistake," in which a single mother finds romance with her new tenant. 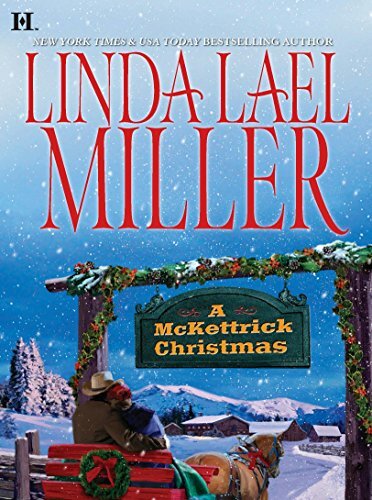 Lizzie McKettrick is homeward bound with her fiancé, Whitley Carson, when their train is derailed, leaving passengers stranded on Christmas Eve. While Whitley is concerned only with himself, a handsome doctor enlists Lizzie’s help treating injured passengers. Soon Lizzie realizes that Christmas truly is a season of miracles--and love. Coming into the possession of a photograph of a smiling woman he has never met, a man experiences a chain of fortuitous events that cause him to regard the photograph as a lucky charm, a belief that prompts a heartfelt search for the woman in person. Click on the link to read more about the book and to make sure it is currently available in the library. To find more romantic suspense novels, click here for an automatic search of the catalog. Devastated to learn that her unfaithful husband had actually married her using an alias, Shelby returns with her young daughter to her Tennessee hometown and pursues a new relationship before her husband’s past poses dangerous threats. The second novel in the "series following The Cinderella Murder, featuring intrepid television producer Laurie Moran as she investigates the case of a missing bride. Five years ago Amanda Pierce was excitedly preparing to marry her college sweetheart in a lavish ceremony at The Grand Victoria Hotel in Palm Beach. Then, with their guests and families on site, Amanda disappeared. In present-day New York City, Laurie Moran realizes a missing bride is the perfect cold case for her investigative television series, Under Suspicion." -- Provided by publisher. "Over the course of ten Mitford novels, fans have kept a special place in their hearts for Dooley Kavanagh, first seen in At Home in Mitford as a barefoot, freckle-faced boy in filthy overalls. Now, Father Tim Kavanagh’s adopted son has graduated from vet school and opened his own animal clinic. Since money will be tight for a while, maybe he and Lace Harper, his once and future soul mate, should keep their wedding simple. So the plan is to eliminate the cost of catering and do potluck. Ought to be fun. An old friend offers to bring his well-known country band. Gratis. And once mucked out, the barn works as a perfect venue for seating family and friends. Piece of cake, right?" -- Provided by publisher. Rapunzel can throw a knife better than any man. She paints beautiful flowering vines on the walls of her plaster houses. She sings so sweetly she can coax even a beast to sleep. But there are two things she is afraid her mother might never allow her to do: learn to read and marry. Fiercely devoted to Rapunzel, her mother is suspicious of every man who so much as looks at her daughter, and warns her that no man can be trusted. After a young village farmer asks for Rapunzel’s hand in marriage, Mother decides to move them once again -- this time, to the large city of Hagenheim. The journey proves treacherous, and after being rescued by a knight -- Sir Gerek -- Rapunzel, in turn, rescues him farther down the road. As a result, Sir Gerek agrees to repay his debt to Rapunzel by teaching her to read. Could there be more to him than his arrogance and desire to marry for riches and position? As Rapunzel acclimates to life in a new city, she uncovers a mystery that will forever change her life. A world of secrets and treachery are about to be revealed after seventeen years. How will Rapunzel finally take control of her own destiny? And who will prove faithful to a lowly peasant girl with no one to turn to?